As technology develops things become faster and more convenient, and the same can be said for hand dryers. We live in a fast paced world where time is of the essence and nobody wants to waste time drying their hands after they’ve visited the washroom, but it is a necessary task that needs to be carried out by everyone for good hygiene and health. 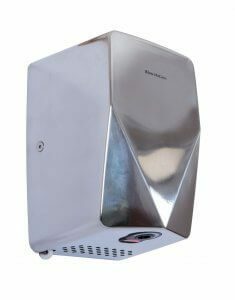 A hand dryer that can dry hands fast and thoroughly is in popular demand as it is so convenient. High speed is the key to gaining power from a hand dryer. Take a look at our range of powerful hand dryers below. As the name suggests, this hand dryer has the power of a ninja. 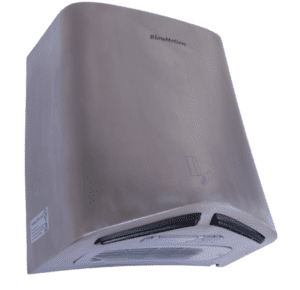 Its dual airflow blasts air onto both hands simultaneously and the power from this hand dryer will dry hands in as little as 10 seconds! You simply place your hands in the illuminated drying zone and when you take your hands out they will be completely dry, it’s as simple as that! The power of the Jet Blade V will ensure that you spend as little time in the washroom as possible. 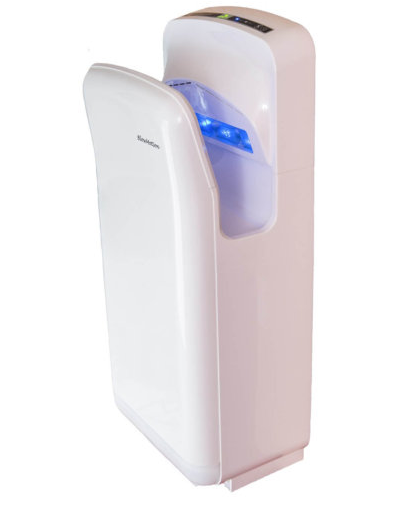 It is simple in design and one of our more compact hand dryers, yet it is one of our mightiest hand dryers. The Jet Blade V wastes no time and kicks into action as soon as it detects your hands, the dryer also stops as soon as you take your hands away to save on energy usage. The Jet Blade V powerfully dries hands in under 10 seconds! 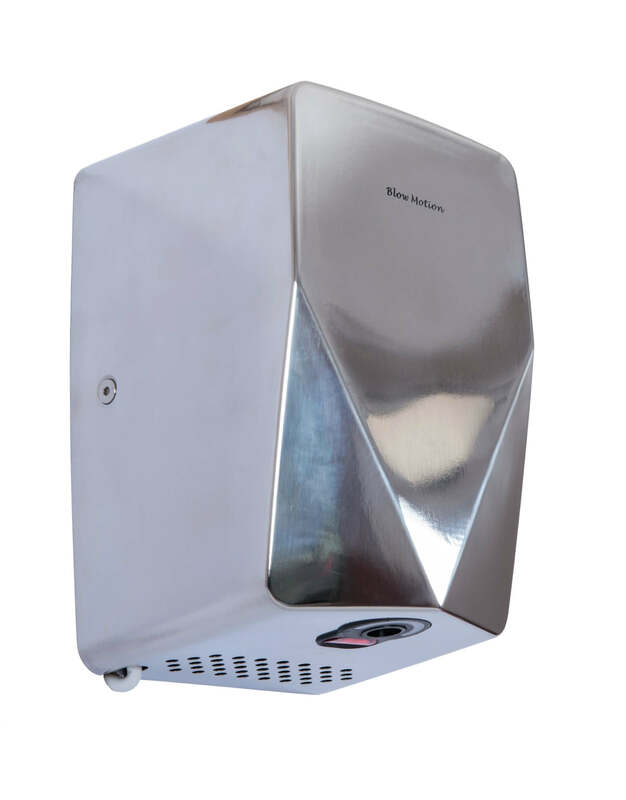 This mini hand dryer is super speedy and powerful and will have your hands bone dry in no time! It takes this hand dryer a mere 8 seconds to blast away water from your hands. This is one of our smallest hand dryers and probably our most powerful as it’s airflow speed is an amazing 100 meters per second! You will not find a more powerful hand dryer than this on the market. The power consumption of the dryer can also be controlled for a more gentler dry if you prefer and for energy efficiency. 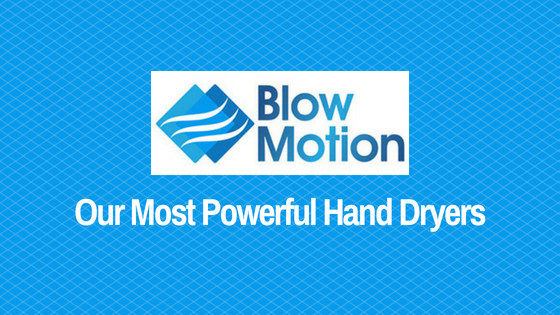 Order Your Powerful Hand Dryers Today! All of our hand dryers use modern technology to powerfully and hygienically dry hands in as little time as possible. These are our top three powerful hand dryers, to order yours simply add to basket or call 0800 002 9678.